Commandée le samedi. Livrée le mercredi dans un carton bien protégé. J’ai testé la batterie sur 3 parcours différents, elle tient ses promesses. Je recommande. Je connaissais déja ce produit donc j'en était satisfait. Par contre je ne connaissais pas Tayna batterie ;leur service a été très efficace pour la livraison et le prix est tres convenable. Exactly the type i was looking for. The best price i could get. A very fast delivery. Package and the product in an absolutely perfect condition. What do you want more? Good price, easy website, fast delivery and perfect replacement batteries. No more to say! aucune critique à faire,, produit conforme, emballage bien adapté, livraison très rapide,, génial ! bien arrivée, bien emballée, produit conforme à la commande. Brilliant service - product as ordered and I hope it will last me the length of time my previous one did. The Sonnenschein battery is a very good product, this being the third one purchased in 18 years. 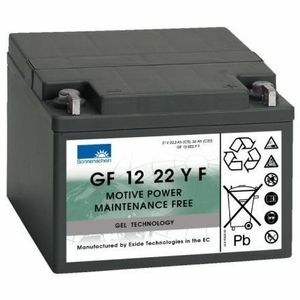 This was the battery make which was supplied with my golf trolley in 2000 so it has provided a reliable service. I returned to buy this battery because my last one lasted for 3 years. Good value for money in my book. too early to say yet hence just 3 stars (but my original lasted 14 years) golf trolley use. I've only used twice since I received the battery. (3/1/2018) Delivery was very quick. I can only hope the battery works as well as the delivery service.